Over the years I've had several requests for this so I'm thrilled to announce that my 2012 Big Picture Classes workshop, 28 Cards in 4 Weeks is back for another round! 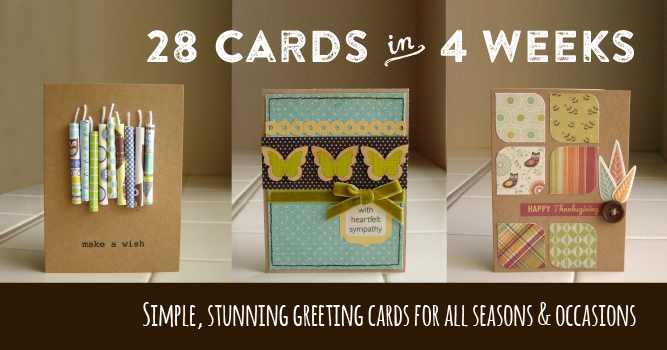 In my popular workshop, 28 Cards in 4 Weeks, you'll create a year's worth of quick, simple, and stunning cards for all seasons and occasions--before the rush of the holiday season begins. They'll be ready to use at a moment's notice!